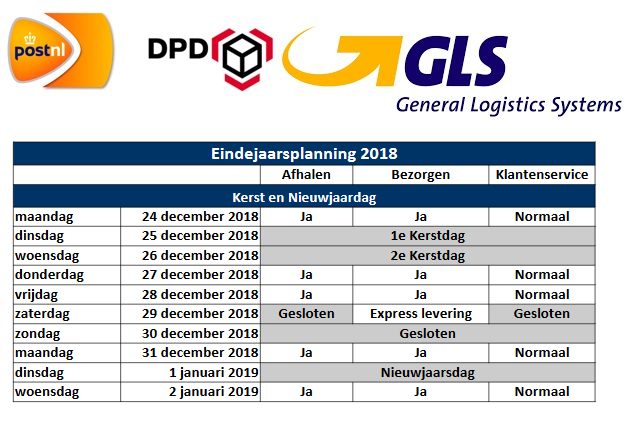 With the holidays ahead, we would like to inform you about the customized delivery around these days. Because even then Pepper Jobs and her transporters are happy to deliver the orders on time. We would therefore like to refer you to the diagram below in which all changes of our carriers are stated in terms of collection and parcel delivery. Do you have any questions? Ask them, via info@smartimportsolutions.nl, we are always at your service.